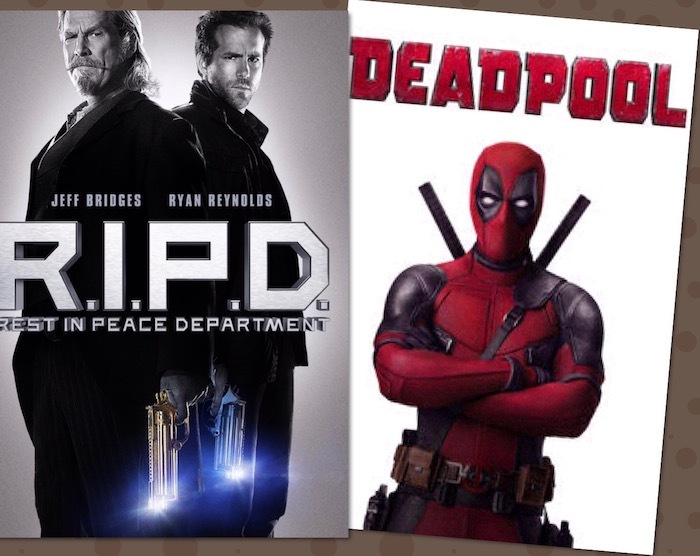 Did RIPD set up Ryan Reynolds as Deadpool? Nick - Well I hope they got both eyes. These one liners start to create a bit of deja vu. There was a certain resonance to the delivery and interaction that peaks a geeks interest. Reynolds playing a part of a deadman struggling to come to terms with his demise. The interplay between a mentor and newly created persona. The rescue of a love from a previous life (even a bit of stalking as well). Hmmm is this starting to sound familiar, like Armageddon and Deep Impact familiar? The premiss of the film is that a straight talking character metamorphoses into an unfamiliar persona whilst retaining their core integrity (like an Old Geek after cinema Cola). This strikes central similarities to the Deadpool movie (or doesn't as this is an opinion piece). 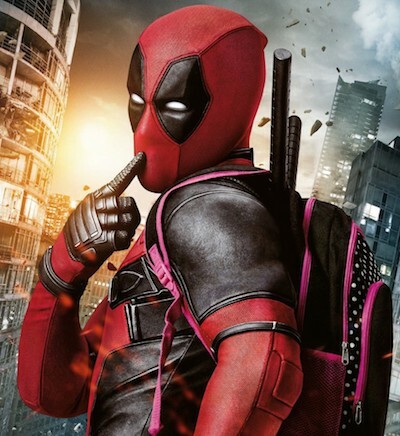 Now it is noted that RIPD is not Deadpool, but, the glimpses of crude humour, storyline nuances and film finale can develop an idea that this film gave the basis for the Deadpool character. 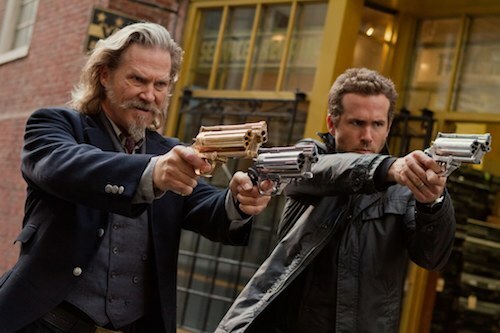 If the viewer starts to combine Bridges character Roy and Reynolds character Nick, then these could be perceived to portray a fledgling Deadpool. It could be said the no-nonsense Cop Nick is Reynolds basis for Deadpool and by also enveloping the 'Roy' character, a familiar character bed-rock can be seen. This begs the question Did Jeff Bridges school Reynolds in the deadpan delivery that will make his Deadpool character so convincing. 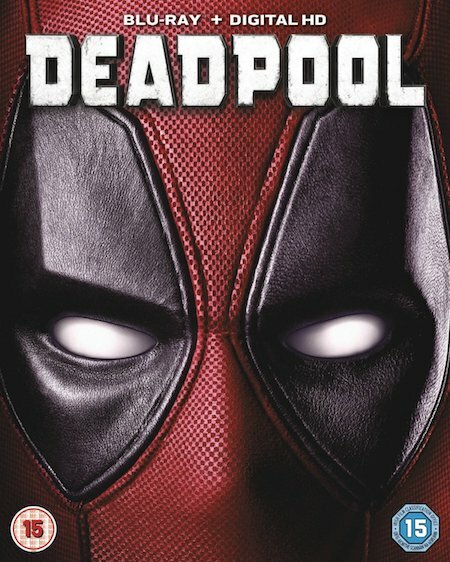 OSGR propose that the genius of Ryan's Deadpool can be seen in this film, the embryonic 'Merc with a Mouth' is littered throughout the film. There is an OSGR concession here though, Ryan Reynolds has always had an ability to deliver crude observational humour in the majority of his roles (isn't that why he's loved so). 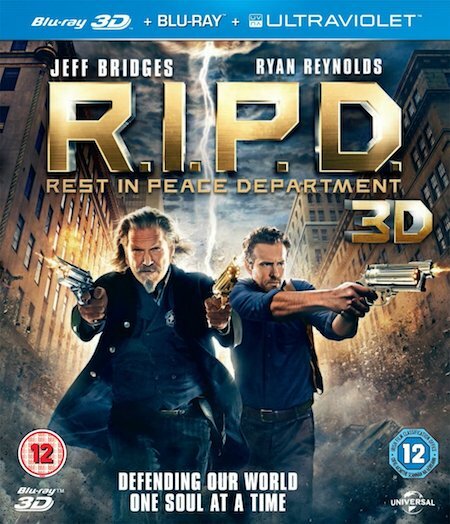 So, why is RIPD different? Why not Green Lantern in which he plays a hero with a rebel streak? Why not the Green lantern character transposed to Reynolds Deadpool? Well the Green Lantern was flawed (and not in the flawed movie sense), the character wanted to prove something (if you had a cent/penny for ever time that has been a successful premiss for a film you'd have a quarter or 25p). 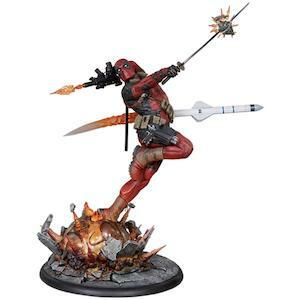 Ok there were some deadpan lines delivered in Lantern but not to Deadpool standard - Deadpool is known for the crudités and finality of the dialogue (to compare the scripts lines are like .... being hit in the face by a torch light for Lantern and a Missile Launcher for Deadpool). In Deadpool, Reynolds delivers the dialogue in such a way that you believe he actually has no remorse or embarrassment in what he says - like a Granny at Thanksgiving or any other family celebration. This is not evident in Green Lantern. It is in this delivery RIPD has similarities with Deadpool, the underlying storyline and script is delivered in such a way that you believe both Nick and Roy don't have that 'blush factor' in what they are saying - in fact they could have created Deadpool as their love child. The smatterings of Deadpool -Esk one-liners and the films concept could be construed to indicate that RIPD was the testing pad for the Reynolds Deadpool Rocket ....... so in conclusion was RIPD the bed-rock for Ryan Reynolds Deadpool. Do you know it does appear that way. Oh and I wonder if "there's fat elvis" in RIPD2. Geek Out.